How do you take a large amount of content and transform it into something that people can use to find what they need easily and efficiently? Create a new website that can support all the content and allow new content to be constantly added with ease. The Georgia Chamber of Commerce is Georgia’s largest business advocacy organization that represents a diverse cross-section of industry and commerce. 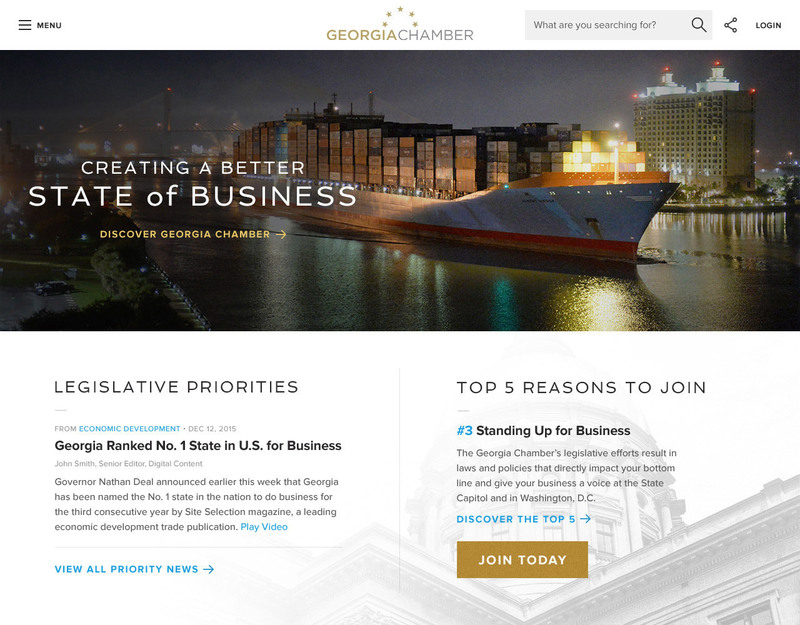 The Georgia Chamber of Commerce’s mission is to improve Georgia’s economic climate and contribute to competitiveness and industry through the development of pro-growth policy, effective advocacy, support for economic development and quality investor service. Georgia Chamber had a six-year-old website that didn’t allow users to organize content, just simply add more. The original navigation system did not support the content they kept adding and trying to push, causing the website to have extra content that was aged out, coupled with no content strategy and governance to remove unnecessary content. We worked with Georgia Chamber to understand what they needed to do and the best way to connect with their audiences. We then created a new organizational structure to make it easier for users to find content, and built it into a tool Georgia Chamber employees could use to update and keep the content organized. We helped them better organize where their content lives by creating a hub for each respective category. That way, when a user wants to read content on a particular topic, they can find a variety of content regarding certain policy in one place. Talk about efficiency. 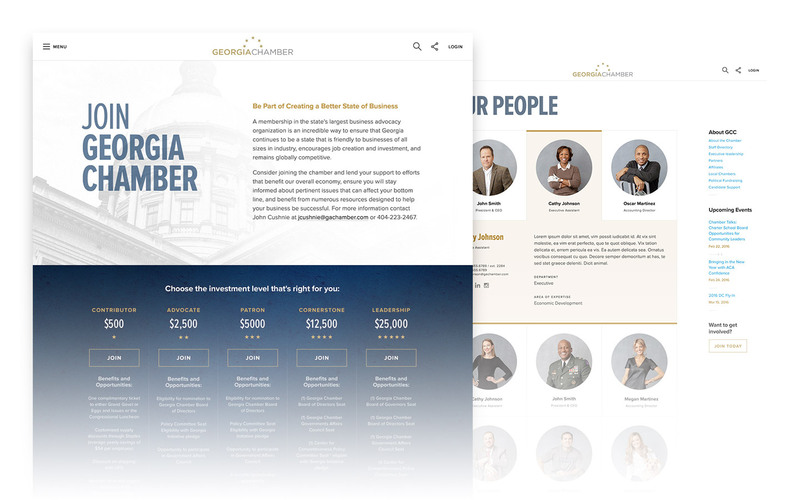 Our work resulted in a more organized website with more accessible information and a platform that the whole Georgia Chamber team could use to add information, and more importantly, stay organized.